It’s official, Diablo III: Eternal Collection will be available on the Nintendo Switch November 2nd, 2018. The announcement comes ahead of the upcoming Nintendo Direct later today. Eager Diablo fans can pre-purchase the Diablo III: Eternal Collection from the Nintendo Switch eShop now for £49.99 / $59.99 / €59,99. The collection includes the base game as well as both the Reaper of Souls and Rise of the Necromancer expansions. Zelda fans can also look forward to exclusive Nintendo Switch items such as Ganondorf’s armour and a Cucco companion pet. We’ve known Diablo III was on its way to the Switch for a while now. The game was announced via a joint Nintendo/Blizzard YouTube video back in August with a vague release date of “Fall 2018”. Just last week we saw a listing on the website of US retailer Target leak the November 2nd date. 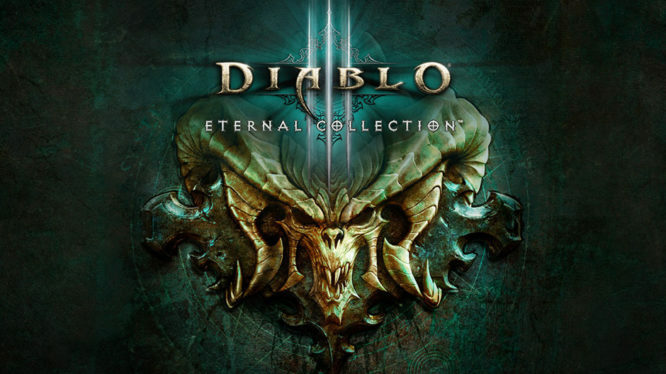 The Diablo III: Eternal Collection release date of November 2nd also coincides with the first day of BlizzCon 2018 – the annual connection of Diablo developer/publisher Blizzard. Whether this indicates we’ll see some news announced at the show is yet to be seen. Diablo III: Eternal Collection will be available on November 2nd, 2018 for £49.99 / $59.99 / €59,99 as both a digital and physical release.